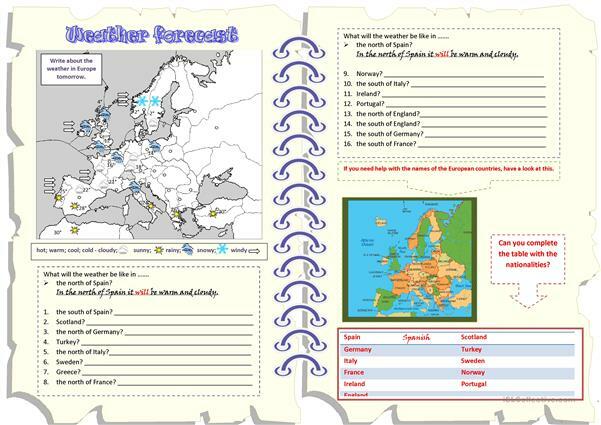 Worksheet practising the use of WILL for predictions (weather forecast) and also revision of countries. 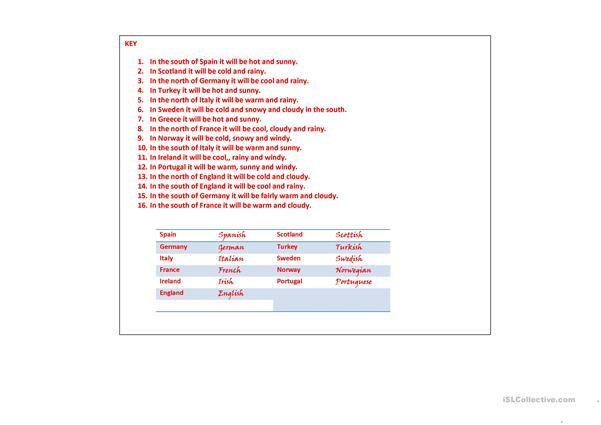 The present downloadable worksheet is best suited for business/professional students, high school students and adults at Pre-intermediate (A2) and Intermediate (B1) level. 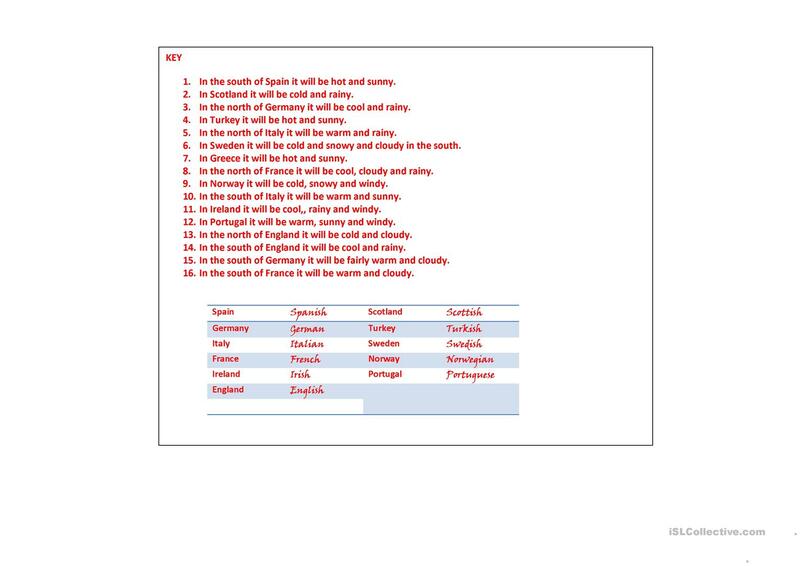 It is aimed at revising Future tenses in English, and can be used for developing your groups' Writing skills. It includes a key, too.